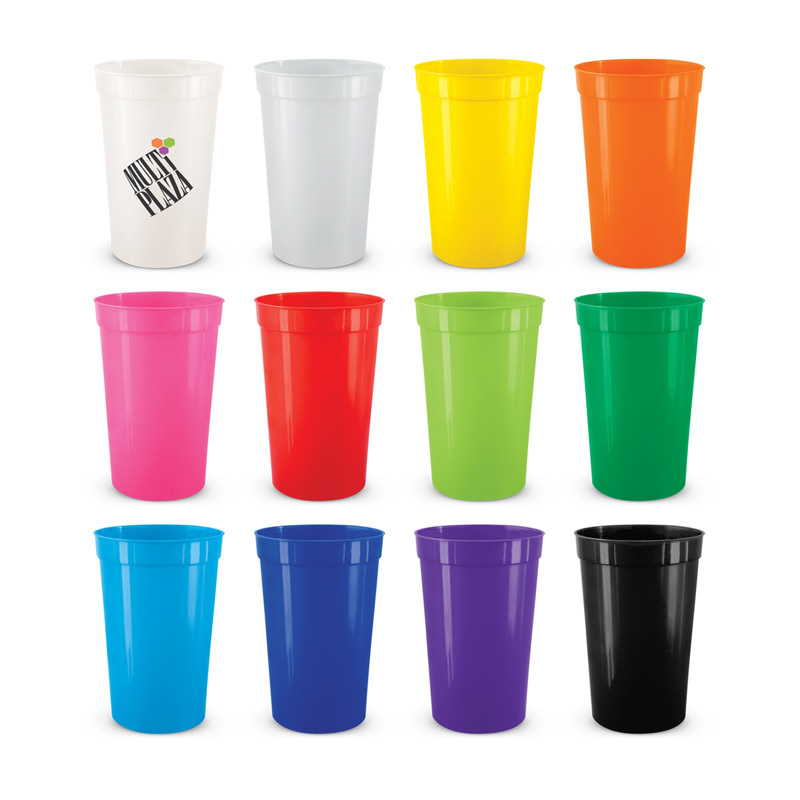 One of the great things about promotional plastic cups is that they can be manufactured in every colour of the rainbow, ensuring a perfect match for your branding. 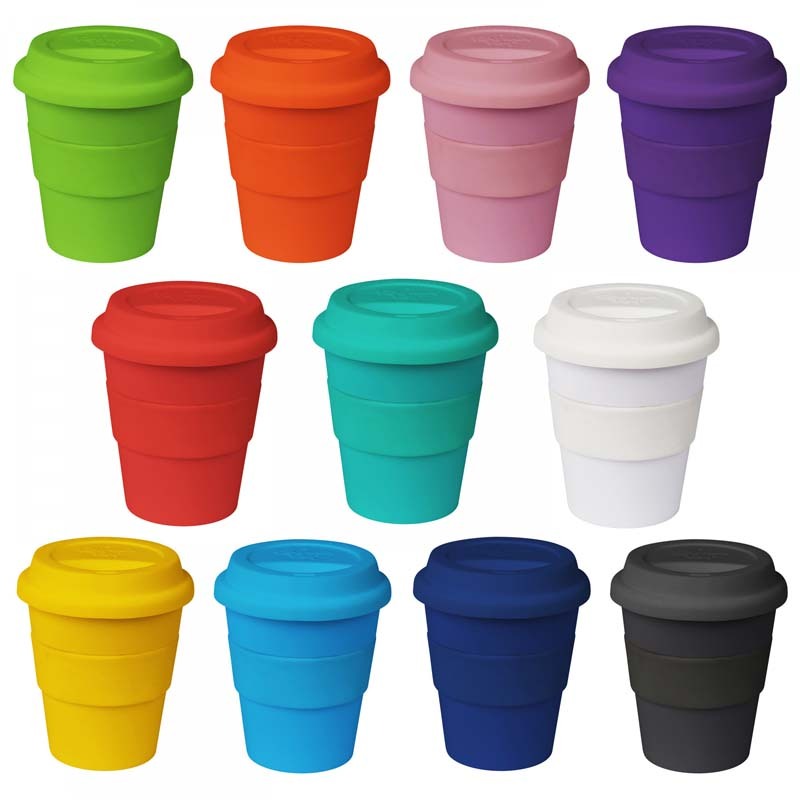 The other benefit of bright colours is that they draw the eye in, ensuring that anyone who encounters promotional plastic mugs will see your brand and remember it. 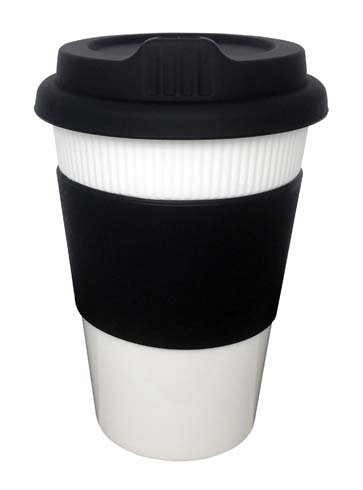 Capacity: 8 oz PP Reusable Coffee Cup. 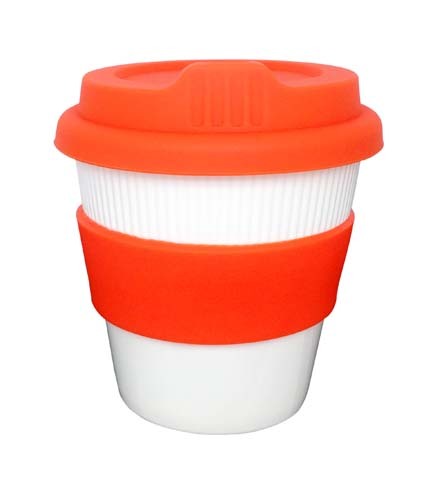 White Plastic Cup with Silicon Lid and Grip Band. 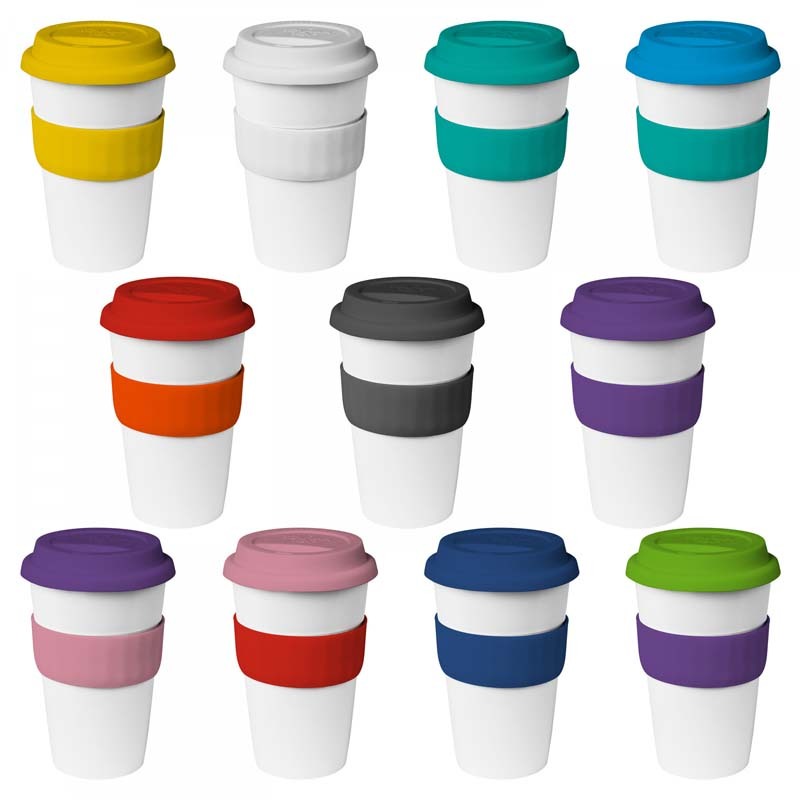 Capacity: 12 oz PP Reusable Coffee Cup. 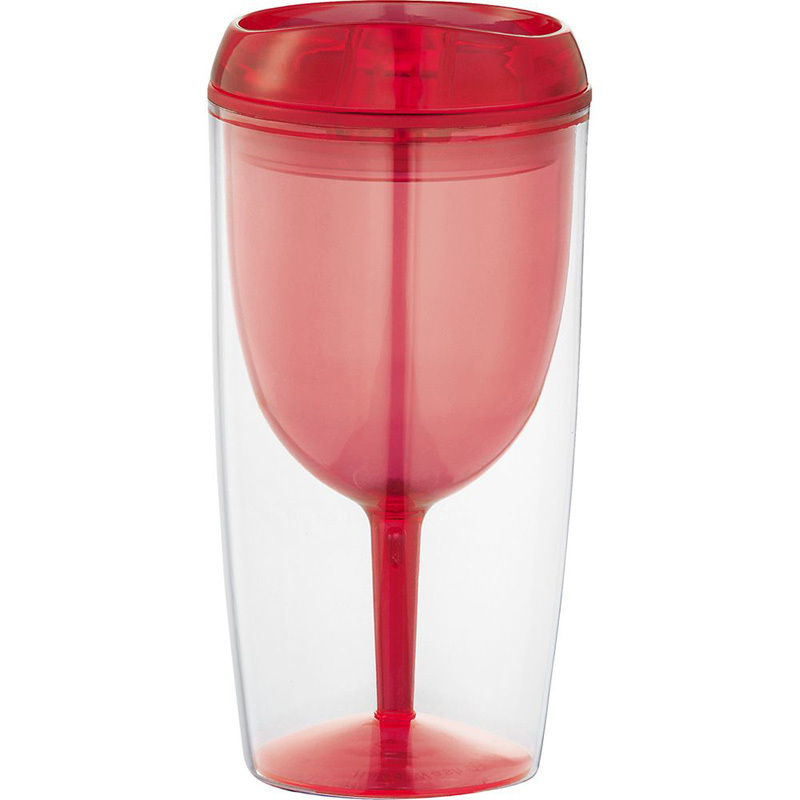 White Plastic Cup with Silicon Lid and Grip Band. 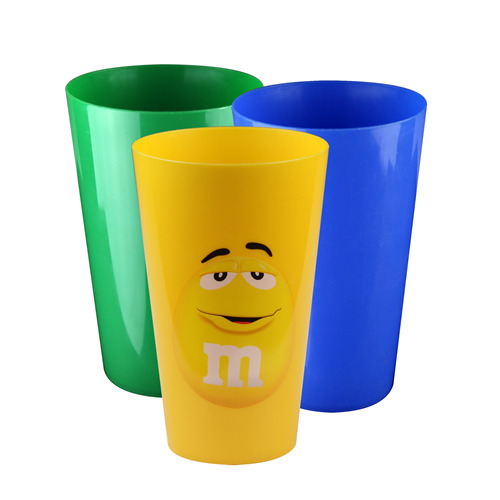 There are a number of reasons why people opt for promotional plastic mugs – they are completely customisable, they are highly durable, they are suitable for children to use, and they make any beverage enjoyable. 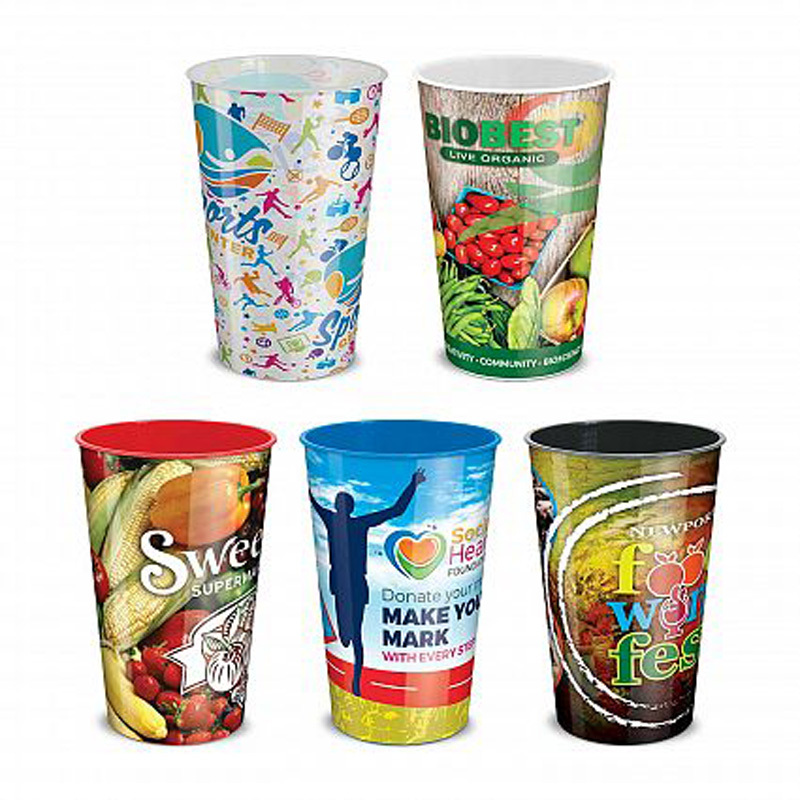 When coupled with your unique branding, they’re also a valuable marketing tool. 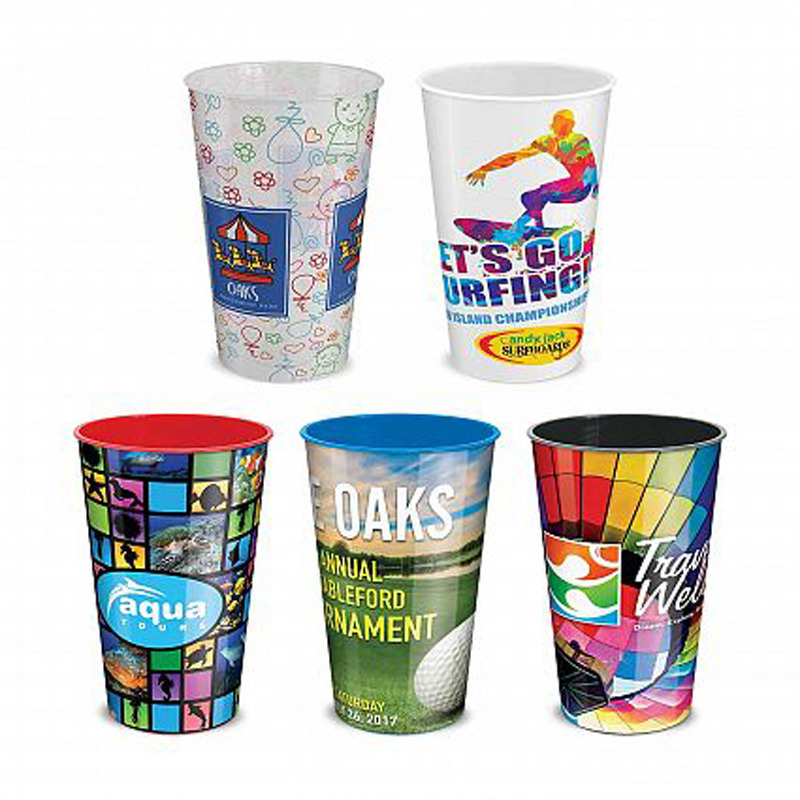 Choose from a wide variety of promotional plastic cups – including tumblers, wine glasses, coffee cups, soup cups, standard mugs and party cups – to ensure that every beverage has been catered for. 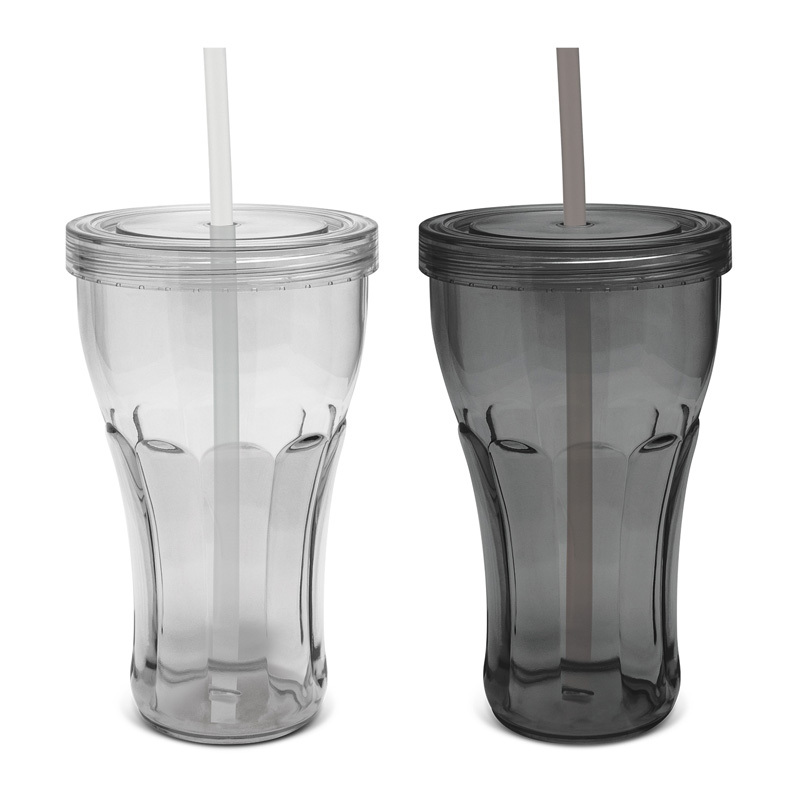 Some also come with matching straws. 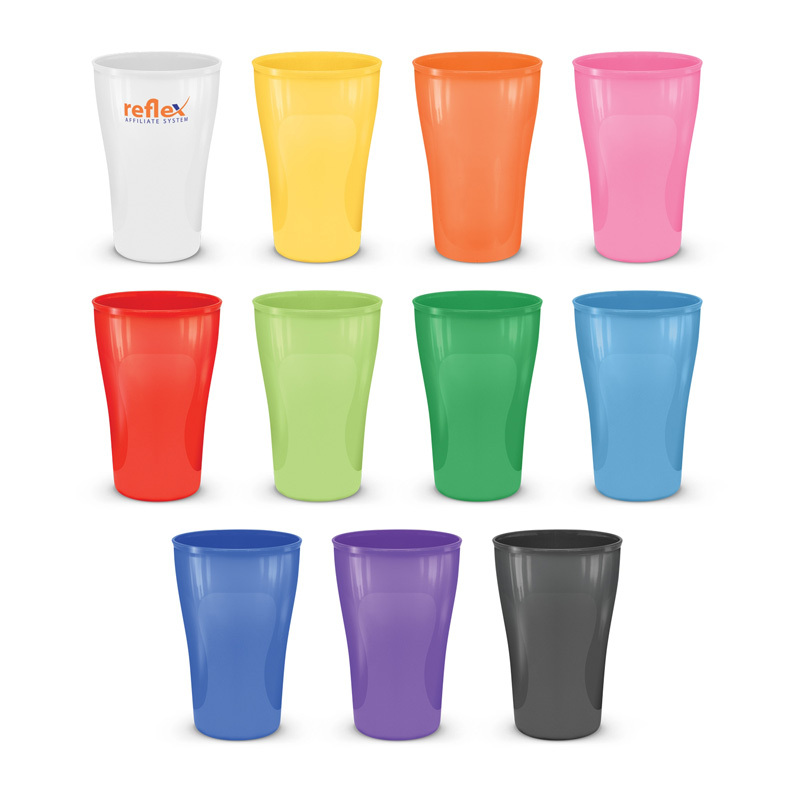 Our custom plastic cups are available in an array of colours, shapes, sizes and styles to ensure that the needs of your clientele are met. 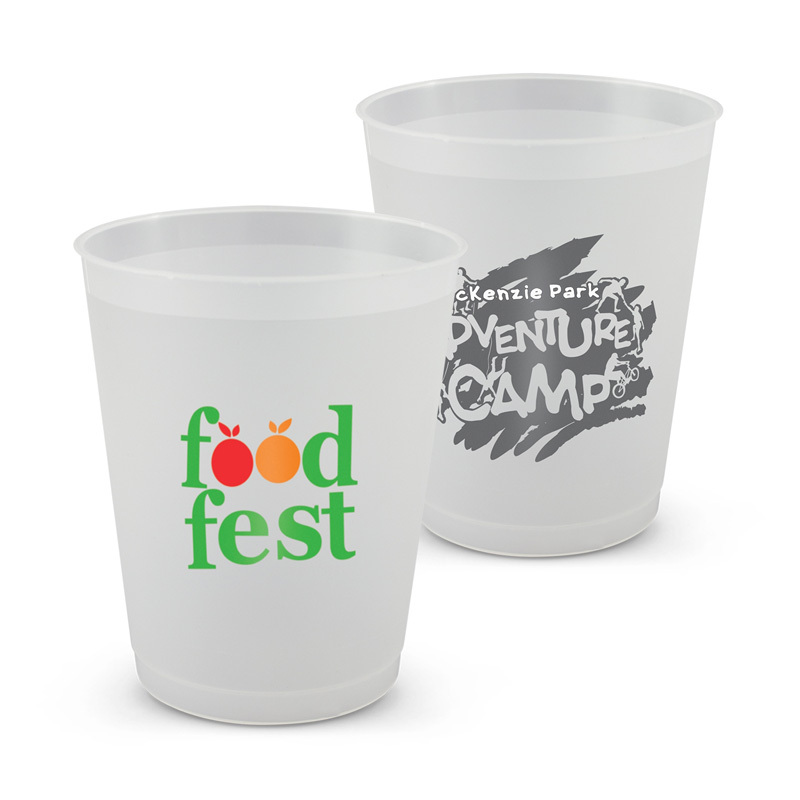 Have your logo, marketing message and even a design of your creation printed onto the side. 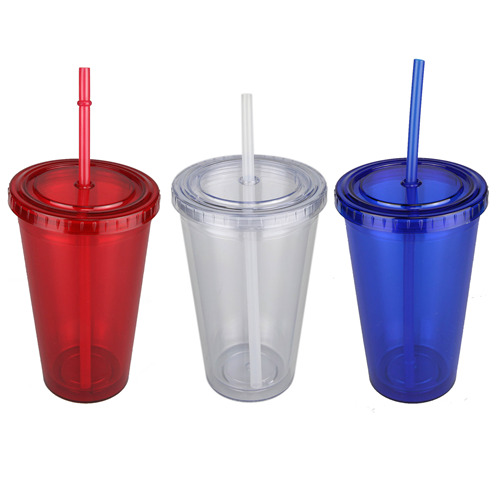 We use only the highest quality, BPA free plastics in the manufacture of our custom plastic cups to ensure their durability and the health of your clientele. 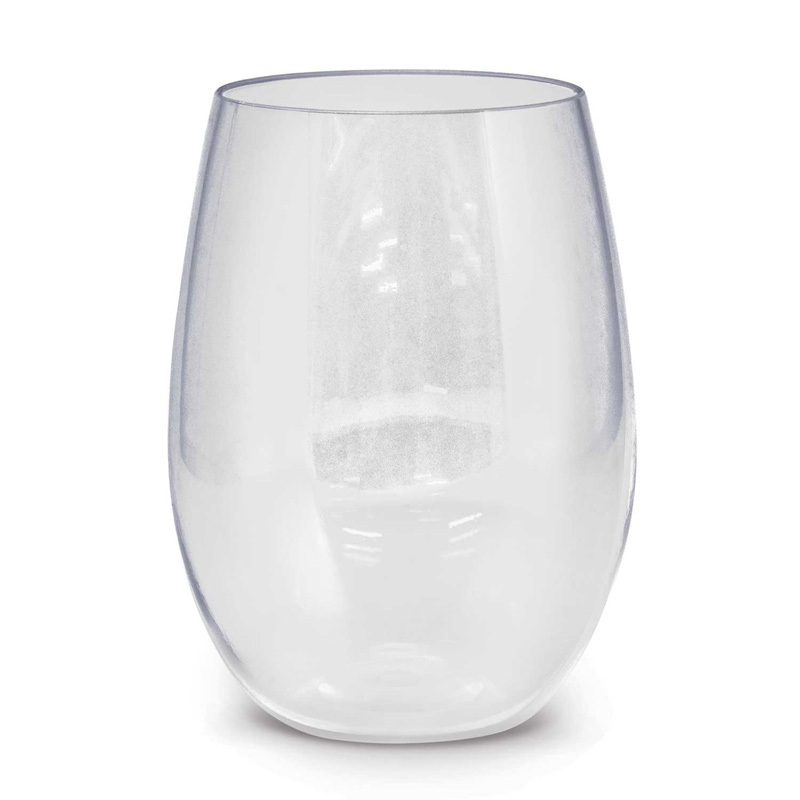 Many of our products are also dishwasher and microwave safe for your convenience. 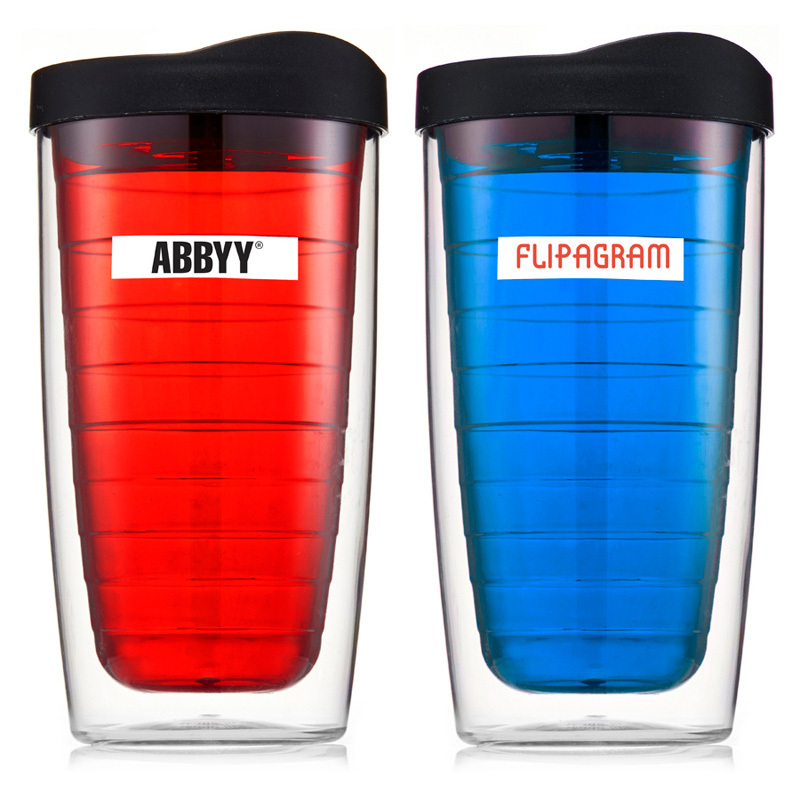 What size design can be added to printed plastic mugs? 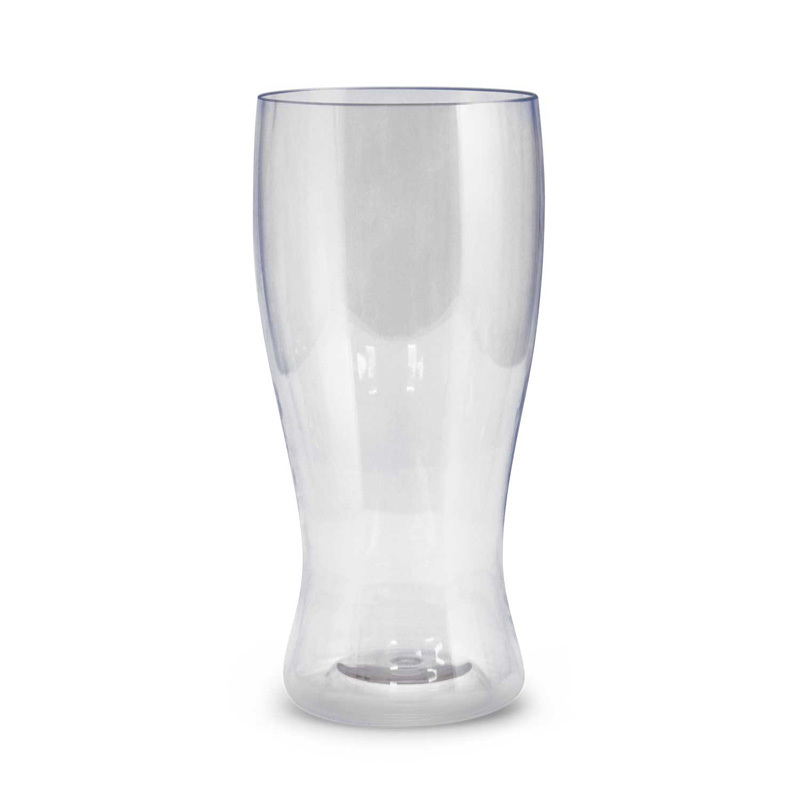 Each of the wholesale plastic cups in our range has designated areas that are suitable for printing on. 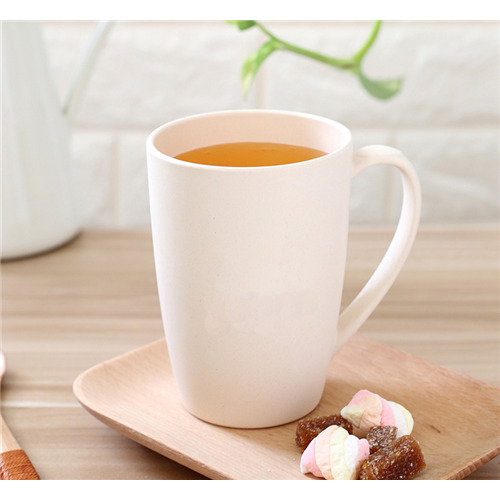 Please contact Novel Tees directly and we will let you know the minimum and maximum designs applicable for the product you are interested in.